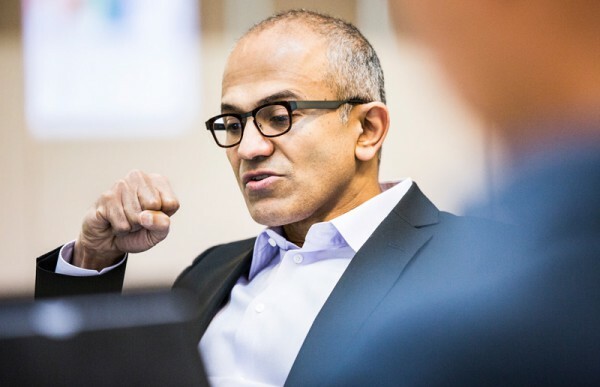 Satya Nadella is the new Microsoft CEO -- who is he? When Steve Ballmer announced his impending retirement, the technology community was abuzz with excitement. After all, for Microsoft loyalists, picking a replacement CEO is like picking a new Pope. When the proverbial white smoke comes pouring from the chimney, a new leader will be appointed. Many hoped that Bill Gates would return, but apparently he is too busy saving the world with his philanthropic endeavors. Ford's Alan Mulally was rumored to be in the running, but he denied any interest. Today, Microsoft announces that it has found its new leader, Satya Nadella. Let's take a look at Microsoft's choice. "Satya is a proven leader with hard-core engineering skills, business vision and the ability to bring people together. His vision for how technology will be used and experienced around the world is exactly what Microsoft needs as the company enters its next chapter of expanded product innovation and growth", says Bill Gates. Praise by Gates is all well and good, but what truly makes him qualified? Microsoft explains, "since joining the company in 1992, Nadella has spearheaded major strategy and technical shifts across the company's portfolio of products and services, most notably the company's move to the cloud and the development of one of the largest cloud infrastructures in the world supporting Bing, Xbox, Office and other services. During his tenure overseeing Microsoft's Server and Tools Business, the division outperformed the market and took share from competitors". Satya is a proven leader. He’s got strong technical skills and great business insights. He has a remarkable ability to see what's going on in the market, to sense opportunity, and to really understand how we come together at Microsoft to execute against those opportunities in a collaborative way. I have worked closely with Satya for many years and I have seen these skills many times. He is not alone, though. Our Senior Leadership Team has never been stronger, and together this group will drive us forward. But, what about his personal life? Certainly a leader is more than just his work. The new CEO explains, "I am 46. I've been married for 22 years and we have 3 kids. And like anyone else, a lot of what I do and how I think has been shaped by my family and my overall life experiences. Many who know me say I am also defined by my curiosity and thirst for learning. I buy more books than I can finish. I sign up for more online courses than I can complete. I fundamentally believe that if you are not learning new things, you stop doing great and useful things. So family, curiosity and hunger for knowledge all define me". What remains to be seen is whether congratulations or condolences are in order. Sure, being the CEO of Microsoft gains you prestige, but the company is not exactly in an upward swing. Nadella will have a lot of work to do -- Windows Phone is a distant third place and Windows XP growth is outpacing 8.x. Did Microsoft make the right choice? Sound off in the comments.